My first entire year without Ryan in over 20 years. Is it no wonder it began with posts full of memories of him? It’s been surreal to go back and see this year unfold once again. Hindsight is a wicked teacher. It’s been a process, but I’ve learned so much along the way. I’m stronger now. I’m so thankful for that. In January I began my journey into therapy with “The Accidental Patient.” I have since graduated myself from the group. The time I spent there was eye-opening as gaging my progress amongst others was interesting, to say the least. I walked away thankful I wasn’t bitter. I could have so easily been bitter. I’m sure part of the peace came through my process of picking up the pieces. I explored doing so in “Fixing my Faith.” Ryan’s passing made me come face to face with what I believed. It was no longer ok to believe in heaven anymore. I needed to know. I have no reservations when I say now, I know. I also posted my PSA about Cancer...specifically Melanoma. If you haven’t read, “This one’s important.” I implore you to take a minute to read it now. It could save your life, or a loved one’s life. Read it. Please. 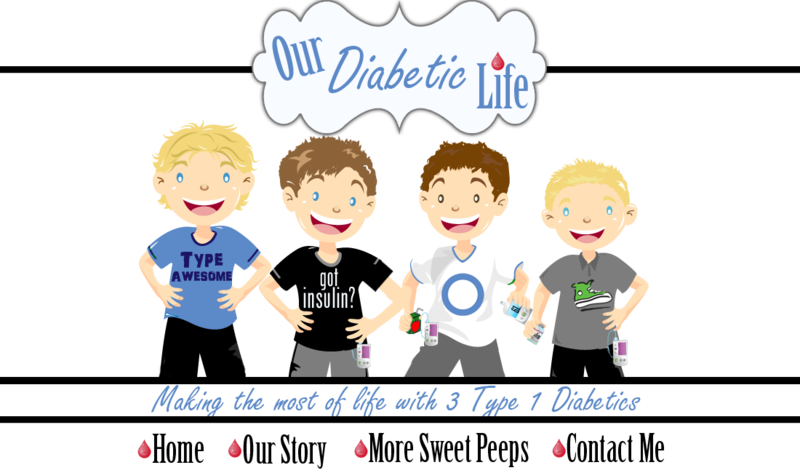 At the end of the month I wrote my most viewed blog post in the history my blogging: “Our Diabetic Life in Drawings.” I think it speaks for itself. April 1st began with a bang with “The Bloody Truth,” where I explored the many different ways to dispose of that extra bit of blood left on the finger after testing. Since then we have discovered Diabetic Dabs, when handy, they prove to be very helpful! Also explored was “Meter Madness,” and the infuriating moments when we realize we have a thousand meters and only two are useable, and even then…only barely. In May, in honor of Mothers Day, I wrote, “We are the DMothers.” It is an anthem for us. We are so often judged on how we take care of our children, I felt we needed a voice. We don’t need to apologize for how we live. We are doing the best we can for our children, and we can’t do better than that. I ended the month recounting my turning point. After my third son was diagnosed I slipped into a deep depression for about six months. 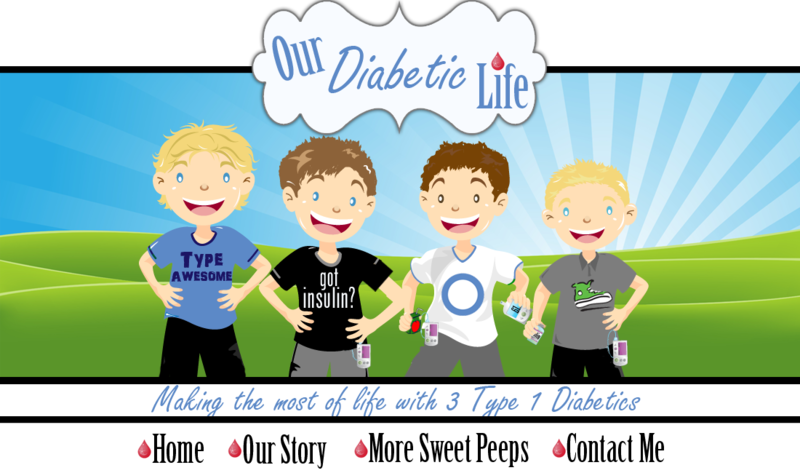 Ryan’s words helped me break free of that self pity, and put Our Diabetic Life into perspective. In June my blog was hijacked and I received “An Open Letter”from a bent cannula. I later responded with my own letter, except this one was titled “To the Newbies,” and dedicated to all the parents of newly diagnosed children. July. July was everything Friends For Life. It is the Children with Diabetes convention in Florida that our family had the honor to attend by scholarship. I was asked to say a few words in the opening ceremonies about a great friend of our family, Dr. Richard Rubin. I also blogged about our flying experience as we are able to use the “TSA Cares” program. Click the link to find out more. And in true Meri style, I ended the month with a big one, refuting the “Tiger Mom Perception,” when it comes to D Parents. September marked one year after Ryan’s passing. I posted his “Eulogy,” and then I assured everyone that “It’s ok that I’m not ok.” Grief is a process, and I was confident I was on the path I needed to be on. In fact I'm still confident I'm going in the right direction. In October I wrote, “Free to be you and me.” It talks about judging other people, especially online. And how easy it is to think we have them all figured out, when in fact…how can we really know unless we spend a day in their shoes? What is the harm in being gentle when we want to help someone? Wow. In November I only wrote two posts. Facebook was blowing up with things I had to say, but I was so busy getting M ready for his new adventure, my blog took a backseat to life. One post I was able to squeeze out was “A good problem to have.” It is a trick I use to see things in a more favorable light. Even diabetes is a good problem to have…I explain it here. In December I broke out of my funk and wrote three posts. Ok. Maybe I didn’t break out. But it doesn’t’ make this post any less useful. “Smile” is a reminder that we can still find joy in life even when things are hard. I have. And I’m thankful for the little reminders I get every day that everything is going to be ok. I made it through 2013 without Ryan by my side. If I can do that. I can do anything. 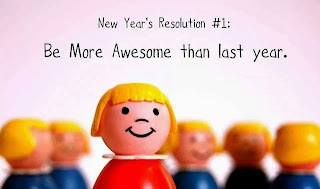 Have a blessed year friends! Thanks for taking the ride with me and more than anything, for being my friend. I feel the winds of change blowing into 2014. Let's do this thang! Ummmm - made it through 2013 without Ryan by my side. - Nope, Ryan is always by your side. You might not see him but he's there. I see him every time I read one of your posts. 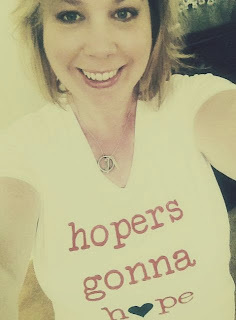 Taking the sarcastic approach to my comment - I still kinda wish there was a spelling error on the shirt and one of the hopes was a hop. I recently married a wonderful young man with Type 1 diabetes. It certainly is a new adventure, measuring every complex carb and using my kitchen scale like it's going out of style. I wouldn't change it for the world though! Your blog has helped me understand why it was so hard for my husbands mother to let him "go" when we were married. 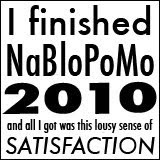 The constant checking in about blood sugars, and highs/lows seemed like it would never end. It has passed though, and now I see why. I can't imagine having a child diagnosed with something like Type 1. I hadn't read some of those. How you mix honesty with hope is amazing. Thanks for inspiring me.